Are you a pet lover who is energetic, reliable, and passionate about working with dogs? Hound Around dog walkers are employees rather than independent contractors. 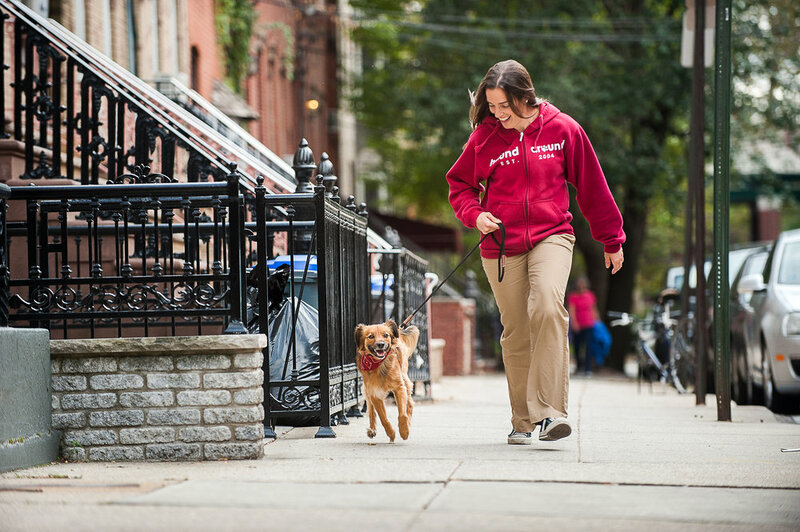 Enjoy a consistent daily schedule and walk with the same pups, in the same neighborhood every day. Dog walking hours are typically Monday thru Friday, 10am-4pm. No car required! Each dog walker covers a few block area, which is walkable or bike-able. Join our team that is positive, friendly and committed to providing superior care for dogs and pets. Hound Around is committed to providing equal employment opportunities to all, regardless of race, ethnicity, religion, gender, national origin, age, sexual orientation, disability, or genetics.